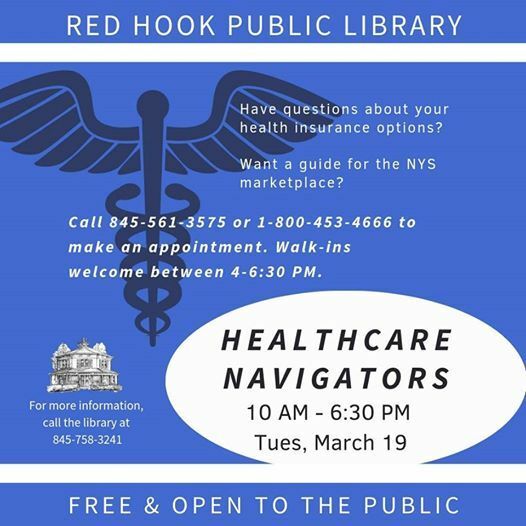 Red Hook Public Library is pleased to host a NYS-certified Healthcare Navigator 10AM - 6:30PM, Tuesday March 19th in the Library’s Community Room. 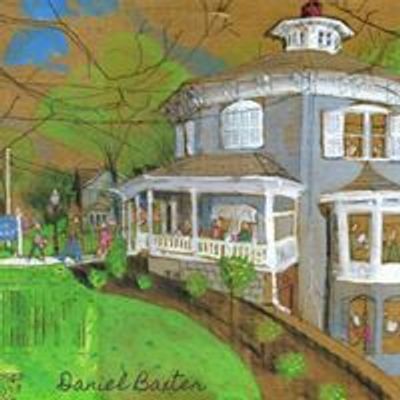 Appointments will be from 10am to 6:30 pm on Tuesday February 19th; drop-ins are welcome between 4 and 6:30 pm. If you need help understanding your health insurance options, please call 845-561-3575 or 1-800-453-4666 to schedule your free, confidential appointment.